Chevy has taken the 2019 Colorado ZR2 to the extreme. Yes, the ZR2 is already an extreme version of the Colorado, but by partnering with American Expedition Vehicles, they’ve created a monster and named it the ZR2 Bison. And it’s available in January 2019. Since its inception in 1997, American Expedition Vehicles (AEV) has become a premier supplier of OE-quality aftermarket parts and accessories for performance-driven vehicles. If you're looking to equip your commanding vehicle for some off-roading recreational driving, AEV has you covered. This automotive parts and accessories company was formed in the 1990s by Dave Harriton, who now resides as President. Mr. Harriton won an award while at business school thanks to his work on a Jeep project, and after graduating, he went on to set up his own shop. What started as a one-room garage in Missoula, Missouri quickly turned into more. When Mr. Harriton's modified Jeep Wrangler models began to win Chrysler Design Excellence Awards at the Specialty Equipment Market Association (SEMA) show, he received the attention and support he deserved. He was then able to find partners in Detroit who could bring OE-quality engineering and manufacturing expertise to his innovative designs. Chevrolet and AEV has announced that the ZR2 Bison will feature a competitive starting price of $48,045, which includes a destination fee of $995. This model is for eye-catching extended-cab variant -- if you're looking for two full rows of seats, you can snag a crew cab model for just $49,645. This represents a premium between $5,000 and $6,000 over the standard ZR2. But make no mistake, the price goes toward some serious upgrades! The ZR2 Bison boasts five separate steel skid plates that not only protect the oil pan and fuel tank, but the transfer case and both locking differentials. This vehicle's front and rear bumpers also feature upgrades, as they've been swapped out for steel-based replacements, with the front even making room for a winch. 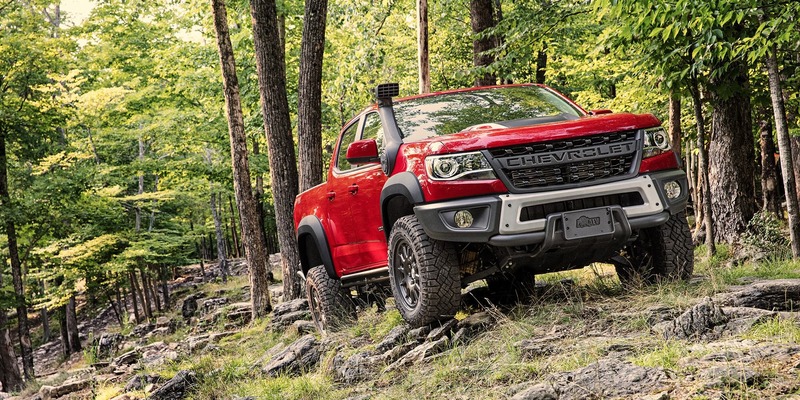 The suspension offers two inches of added lift, and thanks in part to aggressive 31-inch off-road tires, this truck's front and rear tracks are a jaw-dropping 3.5 inches wider than those on the regular ZR2. For those that are looking for additional adventures, this model also offers room for an optional snorkel, just in case driving enthusiasts want to ford a river or two. Interested in learning more? Contact our new and used Austin, Texas dealership near Round Rock to let us know you'd like to be kept informed of this model's release date!